The government’s second look at the state of the economy during the first quarter is a little better than the first -- but not by much. 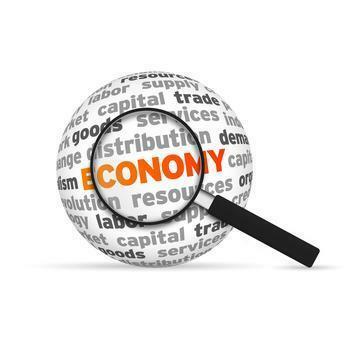 The Commerce Department reports real gross domestic product (GDP) expanded at an annual rate of 1.2%. The advance look a month earlier pegged growth at a 0.7% rate. In the previous three months, real GDP increased 2.1 percent. This latest estimate is based on more complete source data. Nonetheless, the general picture of economic growth remains the same. The difference in the number comes from increases in nonresidential fixed investment and personal consumption expenditures (PCE) -- consumer spending -- that were larger and a decrease in state and local government spending was smaller than previously estimated. The PCE price index, an inflation gauge tied to GDP, rose 2.4%, compared with an increase of 2.0%. The “core rate,” which excludes the volatile food and energy category, was up 2.1% versus a 1.3% advance. Corporate profits took a hit in this second estimate of economic performance. Profits with inventory valuation adjustment and capital consumption adjustment plunged $40.3 billion in the first quarter, after rising $11.2 billion in the fourth quarter.